I'm so excited to share that Better Life Bags has been able to make another loan to a low income entreprenuer in the Philippines! She is from the village of Bungad and is 37 years old. Lilieth is married and has six school-aged children. To make a living, she raises pigs for fattening and sale and has been doing so for more than 10 years. 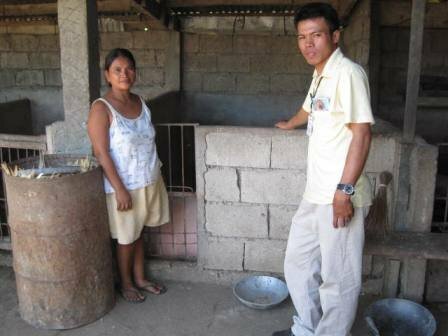 Lilieth is going to use the money loaned to her to purchase livestock feeds and other supplies needed to keep her business running. She plans to use the additional revenue generated from the business to pay her children's school tuition fees. 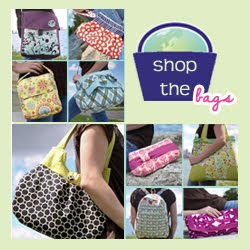 Thanks for buying from Better Life Bags and making Lilieth's life better! What a great way to give back. Do you sponsor through Kiva or microplace? I love both of them. It's so easy to fund a loan and then when the money comes back fund another loan! I love your story and how you share the stories of these women who are just like us, working hard to make a good life. 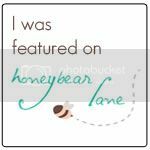 I'm a new follower and glad to have found you through Honey Bear Lane.